Wandering through the woods you come upon a sanctuary; a peaceful clearing that murmurs ancient secrets. 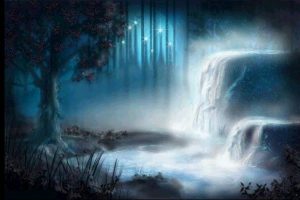 The sounds of the waterfall beckon you to sit awhile and contemplate the transformations that await. 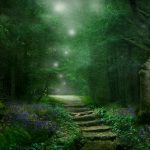 In this secret hideaway, you are protected by Forest Magick and granted safe passage into the depths of your true self, body, mind, and spirit. Your journey begins now! You feel frazzled, burned out, confused. Step into the Sacred Grove and get nurtured, healed, and balanced. 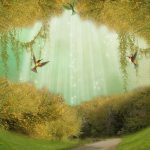 In the protection of the Sacred Grove, you can safely transform and experience immediate relief, guidance, and tools to get centered, rooted, and grounded. It’s time to get in touch with your sacred self and get to know who you are at this stage of your life and at the core of your being. Only then can you start to vision and see what’s possible. If you don’t know where to start, the Sacred Grove is the perfect place for you. Three 1-hour private transformational sessions to reveal the energies in your life and how they are impacting your wellbeing, to support your transition, and see the beautiful transformations that have occurred. One 3-month subscription to Pathways, so you can get answers to questions 24/7.